Download MP3 / Subscribe on iTunes! Recorded on-site at Bottle Logic during the WEEK OF LOGIC 2017! The nerds get the amazing opportunity to interview one of the founders of Bottle logic – Brandon, a brewer – Greg, and Sean “OGtay” of OTR podcast, Bottle Logic’s #1 fan! We talk about craft beer, video games, and drunken video game characters in the catacombs of our favorite OC Brewery, Bottle Logic! Recorded on Day 3 of the Week of Logic, we taste the sneak peak of “Fundamental Summation” a collaboration with 3 Sons Brewing co., aged 8 months in bourbon barrels, with Madagascar vanilla beans and Jamaican Blue Coffee. 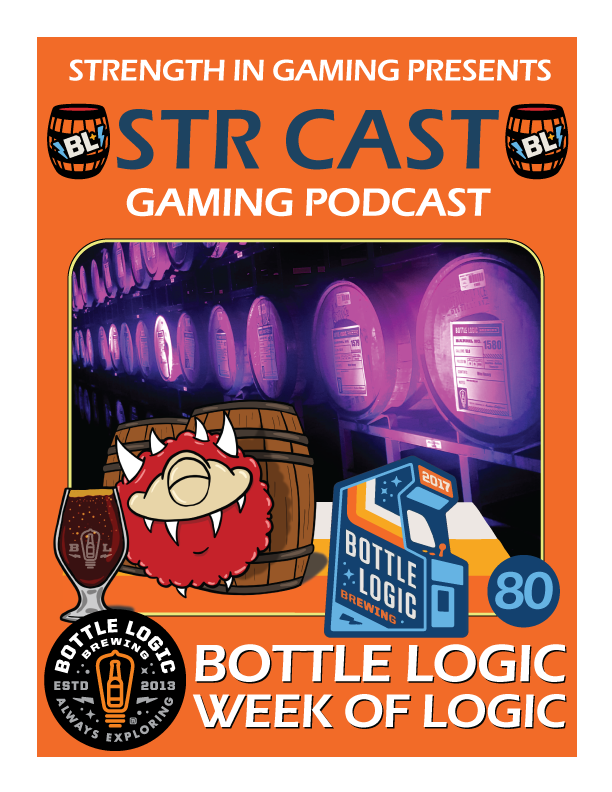 ‹ STR CAST on-site at Bottle Logic March 21st – Week of Logic!